This is a COMPLETE Electrical Wiring Diagram for your 2002-2008 Renault Mégane II. It covers every single detail. All models, and all engines are included. This QUALITY manual is 100 percents COMPLETE and INTACT, no MISSING/CORRUPT pages/sections to freak you out! Detailed illustrations, exploded diagrams, drawings and photos guide you through every service repair procedure. This manual can be viewed on any computer, as well as zoomed and printed. All repair procedures are covered A-Z. This manual for 2002-2008 Renault Mégane II makes any repair job easy to do with very easy to follow step-by-step instructions & pictures on all areas of repair. Fixing problems in your vehicle is a do-it-approach with the this EWD for 2002-2008 Renault Mégane II as they contain comprehensive instructions and procedures on how to fix the problems in your ride. Repair Manuals can come in handy especially when you have to do immediate repair. The durability of your vehicle/bike is unquestionable but you also know that no matter how tough they are, constant use can cause them to deteriorate. When this happens, and ultimately it will, you will have to replace them. Some car/bike parts are very simple to mount and do not require professional help. By having a trusty repair manual you not only save money but you also get to experience the fun of do-it-yourself projects. A repair manual comes with comprehensive details regarding technical data, diagrams, a complete list of car parts and pictures. Even the most novice can easily follow the step-by-step guides which are made simple by the illustrations and drawings. You can find a complete list of accessories that can further enhance the performance of your engine. 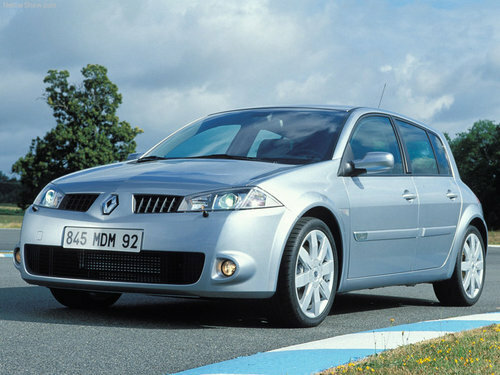 This EWD for 2002-2008 Renault Mégane II can save you a lot of time. These packages are complete with all the information needs. You will surely enjoy browsing through the pages and learning how to repair the different parts. It makes you up-to-date and more knowledge. Now, you dont have to rely on your mechanic for the simplest repair. You can do it at the comfort of your garage. All pages are printable, so print off what you need and take it with you into the garage or workshop. This manual will never get dirty and rip as you can keep it safely on your PC and print the pages you need in matter of seconds. We provide various Repair Manual, Service manual, Workshop Manual, for Cars, Trucks, Industrial Equipment, Heavy Equipment ...etc. All in a pdf and software from various kinds of brand cars and motorcycles. All major topics are covered complete step-by-step instruction, diagrams, illustration, and specifications to repair and troubleshoot. With this manual on hand, you will have 100 confident to do a repairing and services with your own. This workshop service / repair manual can easily help you with any repairs that you may need to do. Many people are scared to touch their cars because it seems difficult. This is only true when you do not have the resources and tools available for when that time comes! Perfect for the DIY person.